The Walnut Creek Watershed is located in western Polk and eastern Dallas counties in central Iowa. The 53,000 acre landscape is rapidly changing, with over six-square miles being developing between 2001-2011. The creek itself is a primary source for the metro area drinking water, joining up with the Raccoon River just above Des Moines Water Works. A Watershed Management Authority (WMA) was developed to address environmental concerns seen throughout the watershed and in the creek. 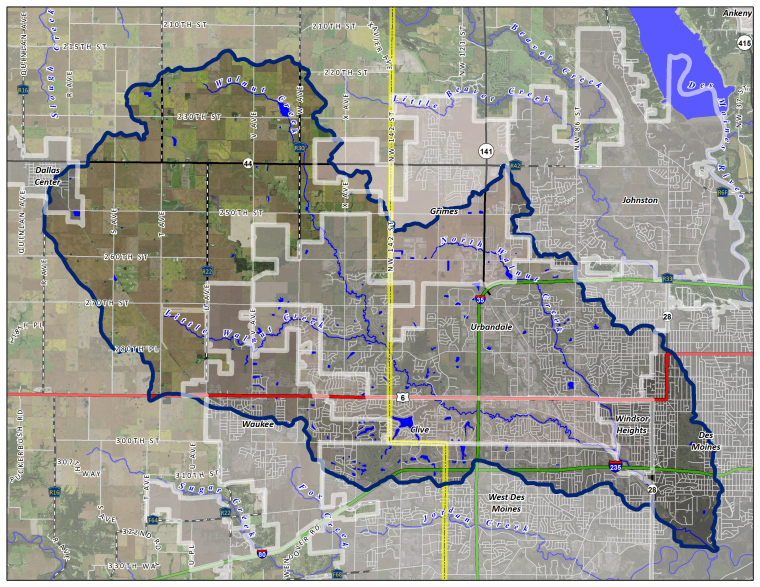 A watershed management plan was developed by the WMA to showcase ways the urban and rural communities can overcome these concerns and increase the overall quality of the watershed.